A great event for your Jr. High Ministry! Over the past few days, I’ve been sharing one time events with you that you can incorporate into your youth ministry. Today, I want to share something that will help you in the growth of your youth ministry, both in number and relationship over the long haul. I can’t pretend to take credit for this one, so I want to give a big shout out to a great youth pastor that I worked under, Josh Gering. He now serves as the Youth Pastor at Bethel Church in Chehalis, WA. This guy is a master at putting together great games and events, today’s is no exception. Jr. High ministry can be challenging at times, no doubt about it, but it can also be one of the most fulfilling if you do it right. Let’s face it, while our youth ministry mixes Jr. High and High School students for many of our meetings, the two groups have different needs. Jr. High/Middle School is a difficult time of transition physically and socially. Students begin to face unique pressures and need an outlet to help navigate through this crazy world. That’s why I want you to consider incorporating a once a week after school program for your Jr. High students. This is a time that is completely separate from your regular youth meeting and is meant to have a very fun and light-hearted atmosphere. 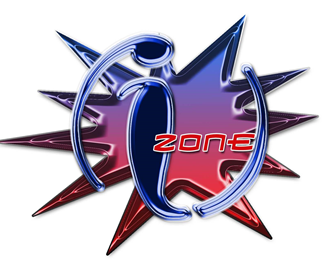 We called ours I-ZONE because our youth ministry was called Impact at the time, but you can call it whatever you want. The idea is to arrange for Jr. High students to be transported to a meeting place (your youth room at the church or even a house if necessary) for about an hour and a half. While students are there, you have some small snacks (have parents volunteer on a rotation), video games, homework help and a short, but fun group game. This serves as a super low key way to be able to interact with students in a low pressure environment. If you’re like me, I have a lot on my mind during our youth meetings, so during this, I try to get enough help to where I can just hang out with students for a while. If you feel like you can’t commit to every week, start with once a month and increase it going forward (it’s always better to start small and increase with this). It will take some logistical planning, but we’ve seen several students come to our youth ministry through this simple event and I bet it will be the same for you! Take some time to pray about it and if God has you proceed, then start contacting some people on your team who can help you make this a reality in 2013. To get more games and tips, subscribe to our blog and follow us on Twitter @stumingames.